Some other outrights Betting Promotion are offering include winning group (i.e, which group will the winner emerge from). Brazil are the early front runners with Betting Promotion pricing them at 4.70 to win their first title since 2002, however they face a tricky path to the final. The samba Boys strolled through the qualifying campaign and head into Russia full of confidence. Neymar, their star man is recovering well from his injury and is set to be fit for the opener. A quick side note, Brazil are the only non –European side to win the tournament in this continent over the last 10 editions, the last being 1958 in Sweden. Reigning world champions Germany are the 2nd favourites to win the tournament with Betting Promotion pricing them at 5.20. It has not been an easy few months for the German side with no wins in their last 5 friendlies before the tournament kicks off. Die Mannshcaft would be the first side to retain the title since Brazil repeated the feat in 1962. There is a saying in Germany “A Bad Germany goes to the World Cup finals, a good German side wins it”, and there are not too many weak areas in this German side with a wave of fresh young talent, German Manager Joachim Low did not even find place for the Premier League Young Player of the Year, Leroy Sane, in his final 23-man squad. Another contender is Spain. 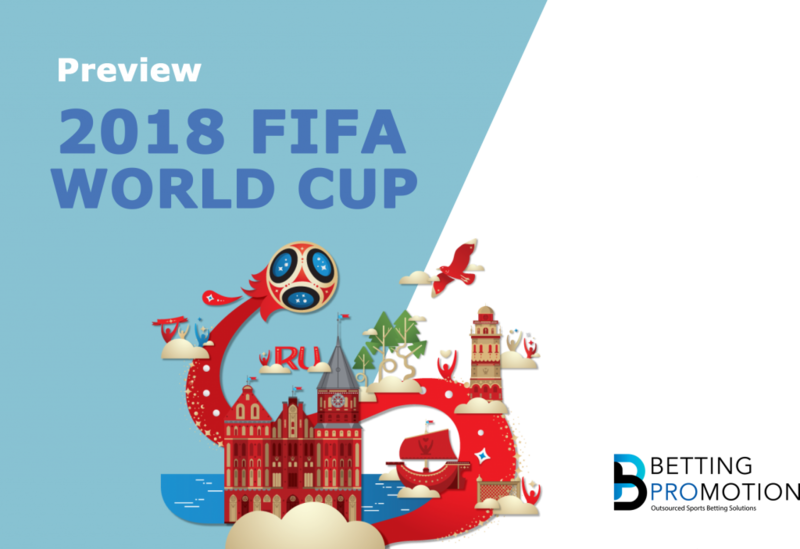 With Betting Promotion pricing them at 6.00 and a team built with winners in all parts of the squad it is hard not to see Spain in the final stages of the competition. La Roja are in a tricky group having to navigate the European champions Portugal and a highly talented Moroccan side. Spain are unbeaten since their defeat to Italy two years ago at the Euro 2016. The way the groups are set up, we could be in for a Spain v Germany match up, which would be a major obstacle on their way to the FIFA World Cup trophy. Betting Promotion are pricing them at 7.00. Some are calling this squad the most talented French team since the world cup winning 1998 squad. Les Bleus are filled with talent in all corners of their squad and even took up the chance to leave out some big names like Karim Benzema, Anthony Martial and Alexandre Lacazette. They did not pull up any trees in their qualifying campaign but did enough to get the job done. A semi-final place is well within their capabilities, however it remains to be seen if their young talented squad will be able to overcome the pressure of the big stage. With odds of 16.50, it looks like England’s wait for that elusive trophy will go on. Gareth Southgate has over the last 18 months put together a young team full of pace, confidence and winners. Their talisman Harry Kane looks to be firing on all cylinders again and a quarter final place is not out of this world for the Three Lions. It remains to be seen however if they can get the better of Belgium in group G, which could potentially see them get to the quarter finals where they will most likely face Germany or Brazil. Yikes. Without a major top seed being placed in their group Senegal could be the dark horse of the tournament. Betting Promotion have them priced at 200. With their talisman Sadio Mane leading the line, Senegal hope he will continue in the same manner he ended the season at Liverpool in the Premier League. Other major players in their squad include Napoli’s Kalidou Koulibaly and a midfield built on muscle and stamina. This team have the capability of causing one or two major upsets. Expect them to get to the knock-out phase of the tournament.